Born and raised in Bremen, Germany, Angelika Clark turned her lifelong passion and love for dogs and dog training into her profession when she started working for the United Schutzhund Clubs of America. She is well known and highly respected by working dog enthusiasts throughout the world for her knowledge of the German Shepherd Dog. She made her mark as head of the Breed Registry Department of the United Schutzhund Clubs of America and was one of the main organizers of the annual USA Sieger Show. Angelika has raised, trained, shown and owned numerous dogs of various breeds throughout her life, in Germany as well as in the United States. She is now contributing her expertise to Quality K-9, where she is not only a business partner but also Tino’s partner in life, but foremost she is the “heart” of the operation. She is always there to lend her support, offer a friendly smile and words of encouragement. Angelika is an experienced translator for German judges at working trials, conformation shows, as well as breed surveys and provides translations of German pedigrees, breed survey reports and correspondence. Born and raised in Germany, Tino’s career began at the tender age of eleven when he started training his first dog, a female collie, titling her to master level of SchH3 and later competing with her in the Regional Championship. After winning the Schutzhund Regionals in 1994 at 16 years old with his Collie Maxi von der Blankenburg, Tino knew he found his passion! Tino has been involved in Schutzhund and Schutzhund events for over 30 years. During that time he has trained and titled many dogs of various breeds. He has trained dogs for police and private clients, coached competitors at a national level, trained service dogs for clients, competed with a large number of dogs in Schutzhund trials, and has been a decoy for Schutzhund Events at all levels. He has extensive experience in breeding and training German Shepherds in Germany. As owner of “vom Deutschen Traum” Dog School and K9 Academy and German Shepherd Breeding Kennel, he bred, trained and competed with hundreds of dogs, owned by him and his clients. Tino is a certified national level decoy and trainer of decoys (teaching helper) in Germany. He has successfully coached competitors to achieve local, regional and national level titles as well as at an international level. Tino delivers seminars and workshops, blending his unique German Schutzhund training skills with contemporary and behavioral modification and motivation techniques. Tino received the highest levels of certification as a Schutzhund decoy and teaching helper through the SV German Shepherd Breed Club, Verein fuer Deutsche Schaeferhunde (SV) located in Augsburg, Germany. The SV is the oldest and most distinguished German Shepherd training association in the world. The numerous seminars and workshops that Tino offers and the frequent training events held at Arizona Dog Sports, are culturally unique events, where Tino shares his vast knowledge and expertise and uses his cultural background to teach the German art of dog training. Tino has coached very successful Schutzhund competitors in both Germany and the United States. He is a member of the “Verein fuer Deutsche Schaeferhunde (SV) e.V.” – Augsburg, Germany, the “Deutscher Verband der Gebrauchshundesportvereine (DVG) e.V. – Luenen, Germany and the “Schutz- und Gebrauchshundesportverband (SGSV) e.V. in Germany, the United Schutzhund Clubs of America (USA), and used to be a member of the German Shepherd Dog Club of America-Working Dog Association (GSDCA-WDA). 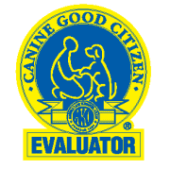 He has received his helper certification from the two leading American Working Dog Association in the US, USA and the GSDCA-WDA at Regional Level. Why us is probably the most important question when hiring a Training Professional for your pet, working dog or sport dog. The experiences made by you and your dog will stay with the dog/owner for ever. Humans are actually much more forgiving when it comes to bad experiences. We can reason with ourselves and overcome the trauma that was inflicted, in most cases by replacing it with a more pleasant experience. For dogs this is not quite so simple. Behavioral science teaches us that dogs will always revert to the first experience made, the first learned behavior. Therefore, it is extremely important that the behavior we expect from our dog is taught correctly from the get go since retraining a dog is much more difficult than starting with a sound foundation. Tino Reinke with Quality K-9 is a master at laying this foundation and then building a strong structure on top of it. Tino has a special gift of communicating with dogs that has earned him the nickname “The Dog Whisperer of Phoenix”. Some people even call him “Dr. Doolittle” since his way of communicating with his canine students is so effortless that it honestly seems like he is talking “dog” with them . People are just in awe when they witness how Tino gains the trust and respect of even very difficult dogs. Dogs simply adore him. They blossom in his presence, open up, relax and naturally want to please him. This comes as a second nature to him and it is one of the most wonderful things to witness. His strong leadership and the fairness that he projects toward the dog create a stress free environment, which makes it easy and fun for the dogs to learn. Tino possesses an intuitive understanding of how to apply the complex laws of animal training. People would call this type of person a gifted teacher, a brilliant leader, a winning coach or genius animal trainer. Tino is so wonderfully skilled in how to apply and take advantage of these laws that affect training that he comes as a godsend to those muddling along with a hard to control pet. Watching him is pure poetry in motion, sought after by many but achieved by only a few. In his training he applies a mixture of modern motivational training methods along with established conventional techniques paired with reinforcement to achieve a reliable and happy obedience performance in a most humane manner. Quality K9 in Phoenix and Scottsdale, Arizona, provides an extremely humane approach to efficiently and reliably helping you and your canine achieve your training goals, by applying scientifically proven training techniques. Our dog training philosophy is that dog training must be fun and rewarding for the dog as well as the handler. It is a proven fact that a stressful environment slows down the learning process. We strongly believe in creating a relaxed and stress free atmosphere for our students, humans as well as canines, in order to conduct effective dog training with reliable results. Our training and coaching methods are tailored to your individual dog, your area of pursuit, and you as a person. One thing we always focus on is developing a relationship of trust and respect between the person and their canine companion. When trust and respect are a foundation for the relationship, training your dog and living with your dog can be rewarding and fun. We offer a variety of options to meet your needs, including private training, small group sessions, dog boarding and training, and our day training program. Our private coaching and training sessions can be conducted at our facility or in your home. We have a limited number of small group sessions in Scottsdale. If you want us to completely train your dog, we can do it through a variety of programs we offer at a state-of-the-art training facility. And we do on occasion take a dog into our home for intensive and focused training, both in house manners and as competition dogs. Our dog training methods are a combination of the best practices from Germany and from the United States. We generally use a variety of motivational approaches including clickers, food, toys and electronic collars. Our choice of method is a joint decision between our clients and us. Training should be fun and rewarding for the dog and their human companion. To achieve high level competition dogs the dog must be happy about their work, which means it is important to focus on training techniques that develop a dog that loves to perform. Call us at (480) 525-5525 and we can see how we can work together to achieve your goals for you and your dog. Our approach is to begin by having a conversation with the owner to understand your goals, the goals for your canine companion, and the approach to training that will meet your schedule and lifestyle. If success on the field or the goal of having a well behaved “best friend” at home is what you desire, then Quality K9 is the company to call!